Cool Weather, Clear Water; Are You Up To The Challenge? Of all the great fish we have the pleasure of chasing here in southwest Florida, there's little doubt that redfish are my favorite, hands down. And, winter is one of the best times of the year for these bronze beauties. When the water clears up and the tides get lower, sight fishing for these gamesters can be the ultimate challenge, especially when casting flies. This type of fishing is not for everyone. It can be tough and it requires some patience. It's usually referred to as hunting rather than fishing, and that's an accurate description. These fish are in gin-clear, shallow water and they can be very nervous. Sometimes it doesn't take much to spook them, and precision casting is in order here. They can be tough to fool, and dropping your coffee cup on the deck will probably not earn you many new friends. Anglers using spinning or baitcasting gear generally won’t have too much trouble getting the long distance casts often needed. However, chase them with a fly rod and, unless you can cast a mile, wading will put the odds in your favor. Though there are times when super long casts are not needed, you’ll probably experience more hook-ups while out of the boat. Tackle in the eight to ten pound range is perfect to start with, and unless you’re extremely proficient with baitcasing gear, spinning reels will allow for more distance on your casts. A seven foot, medium fast or fast action rod is a good match. For fly anglers, an eight weight, nine foot rod with a weight forward, floating line and a nine foot leader is all you’ll need. In both cases, a twenty to twenty five pound fluorocarbon shock leader will prevent break-offs. 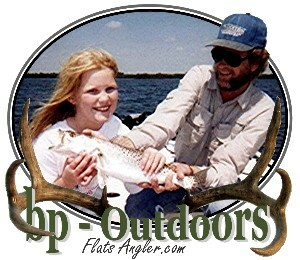 Probably the most rewarding way to pursue these fish is to hunt for "tailers". These are fish that are feeding in very skinny water. While they feed off the bottom, their tails will break the surface, waiving back and forth as they search out small crabs and shrimp. Just getting within casting distance can sometimes be a pretty tall order. The idea is to present a fly or lure out in front of them and drag it across their intended path, sometimes no small feat. If it hits the water too hard, they'll spook. If it lands too softly, and their nose is buried in the grass, they won't know it's there. It can take several casts to actually hook up. The only thing more satisfying than poling a skinny flat and having tails popping up around you, is actually casting to one and watching him take. The battle that ensues ain't too bad either. An early, incoming tide is the best time to keep an eye peeled for tails. Weedless baits are the best choice. I’m not aware of too many fish will charge an artificial lure or fly with a piece of grass trailing from it. Lightweight surface lures and popper flies will get their attention, too. While a redfish is grubbing, tail in the air, cast the lure or fly a few feet past, and about two to three feet ahead and let it sink. You can actually get closer, but feel the fish out and see just how nervous they are. Then, when he comes off-tail, when the tail drops below the surface, strip or work the bait back in front, slowly, for the hit. If there are several fish in the area, resist the urge to put the fly or lure into the school. Instead, cast to one fish around the outside, to prevent spooking them. A productive, but only slightly less challenging way to trick them is to go for the live shrimp. Place one ahead of them, and more often than not, they'll smell the bait and search it out. Actually, the shrimp doesn't really have to be alive, but it should be fresh. If the cast is accurate, let the bait sink and resist the urge to move it. Just take in the slack, and when he hits, drive home the hook. Redfish have an excellent sense of smell. Breaking the tail off will put the scent in the water and if you rig it "Texas" style, it will be weedless. Be bold, bite the tail off, and with a 1/0 or 2/0 live bait hook (depending on the size of the shrimp), run the hook into the end of the tail and out the under side. Turn the hook around and bury the hook in the body of the shrimp, toward the shell. The hook point will not be exposed, therefore weedless. Cast it as close to them as possible without hitting them on the head (or tail) and they'll sniff it out. If the cast is too long, drag the bait back into the zone and let it settle. For more distance, add a small split shot just above the hook eye. If they’re feeding in the column, instead of off the bottom, a popping cork can be used. A low, incoming tide when the sun rises is a good one. On low water, reds will stage in deeper areas, waiting for the tide to push in. As it does, they'll move up on the flat, spread out, and feed. Finding fish stacked up in these areas before they move can mean hot action, not to mention several tight lines and more than a grin to two. The secret is finding them in these concentrations. Once they move, they'll scatter, and the game plan changes. On some Sarasota flats, redfish will gather in potholes. Locating a hole that holds fish is a matter of paying your dues. You might have to try several before that first hook-up. Holes are usually light colored, sandy areas that are deeper than the grass surrounding them. They can be difficult to see without polarized sunglasses, or at times of low light. A good approach is a silent one. Anchor within casting distance and fan-cast your lure or fly to cover the closest side of the hole. If you don't get tight there, move up and cover the rest. Early in the day, they’ll lay on the edges, where sand and grass meet. Points and pockets around the holes are good areas to target, too. Once the fish move up on the flat, they'll usually spread out to feed in the shallow water. The higher the sun gets, the easier it is to spot them, whether they're in the holes or over grass. Keep in mind though, the higher the light, the easier it is for them to you, too. Another way to locate them is by fan-casting artificial lures or flies. Though the latter can be tiresome, you can cover a lot of water while increasing your odds. Don't be in a big hurry while working a flat. Take the time to cover the water. Cast until you've covered the area within casting range, then move up about half the distance of your cast and start the process again. Sometimes you’ll spook one or two, and it does happen, but by taking your time, you’ll be rewarded in the long run. As the sun rises, the water on the shallow flats will warm faster than any other, and areas with dark bottom will warm first. Redfish are fairly tolerant to lower water temperatures, but it may take them awhile to get moving and turn on. They can be found over dark bottom or on the dark edge of a hole early, and if the sun does it's job, in potholes later on. At times, they’ll be feeding in water just out of tailing depth They’ll still be grubbing off the bottom, almost standing on their heads, just below the surface. Some are so preoccupied, that many times, you’ll get very close them. Again, a quiet approach is preferred; these fish will be very spooky. Poling the boat or wading are the best methods. An electric trolling motor will work, but may put the fish on edge on some flats. Catching an early incoming tide is not always the case, nor does it have to be. Fishing in the afternoon heat of summer is a tough way to go. The heat will shut the fish down, therefore, fishing either early or late in the day is preferred. In the cooler months however, the water temperature is low enough that they'll feed throughout the day, with the tides. And, when the water temperature dips down into the 50's, in January or February, it may take awhile for their metabolism to kick into gear. A recent trip presented us with a different scenario. High water early in the morning had the fish feeding on the incoming tide and they didn't seem to be too interested in feeding after the tide turned and headed out. Not that they'll always adhere to that schedule, that's just the way it unfolded. At around 11:00am, we started finding redfish in potholes in 3 to 4 foot depths, and occasionally, one would eat. The tide bottomed out at around noon and as soon as it started to move in again, they turned on and started moving into the skinny to feed, waking and harassing schools of mullet along the way. It felt good. I poled the skiff onto a flat with more turtle grass than sand or potholes, barely enough water to float, and waited. I was so sure it was going to happen that I pulled the camera and was fumbling with it on the poling platform. Then it happened. About 40 feet off the bow a bronze tail broke the surface, waived and went under, then popped up again. I raised the camera; the fish turned, waked and was already in the next county. "Sorry", was all I managed to get out. Even with his head down, that red saw the movement, the flash from my watch, whatever. It was over and the tension was thick. I couldn't bear the thought of that being our only shot at a tailer and, by the grace of God, it wasn't. About 30 yards to the east, another tail, then another, and another. We were back in business. Though that first redfish was spooky, the others had nerves of steel and were more preoccupied with the crabs, shrimp or whatever was down in that grass, trying to hide. One tail would break and disappear, then another. Occasionally two or three at a time would show. A 1/8th ounce, weedless gold spoon landed three feet past the lead fish and was slowly retrieved back. The tail dropped, a wake shot toward the lure and turned into a boil when the hook was set. Though the others moved off, it didn't matter. Five minutes later we had that camera back out. What can you say? Life is good. Of course, with cold fronts dropping down on us, this scenario won't present itself every day. Best bet is to wait until a day or two after the front passes, and the winds die down, then have at it. Most likely, the fish haven't fed for a while and will be on the prowl. A word of caution: winter tides are notoriously low tides. They can be good for spotting those tails, but not so well for you if you run out of water. Keep an eye on the wind and water. North winds will keep the water from reaching the predicted tide height on the incoming side. On the outgoing, they'll push the water out faster, and further than predicted. Don't get yourself stranded in the backcountry. It could be a long, cold wait. Also, there's no real need to be at the dock at first light. Set the alarm clock an hour later and the sun will bring that flat to life. Now, you're on the bow of the boat, rod in hand, polarized sunglasses and all. You've spent a good deal of time hunting, and maybe even spooked out a few bruisers, without making a single cast. Your nerves are on edge. Then, about fifty feet off the bow, maybe 10 o'clock, you start seeing tails waiving at you. As you start to cast, and your knees begin to buckle, try not to drop your fly rod in the water! Looking for a collector knife? Our members have a wealth of information and knowledge to share. Randall Made Knives message board for collectors of the famous Randall Made custom knife. Locate a hunting lease or post lease openings. A free message board for finding leases. Traditional or in-line muzzleloaders. All black powder and smoke pole questions are answered here. A great exchange of information. 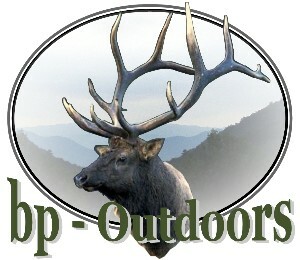 Hunting related news, information, announcements and technical help from other hunters. Discussion group for bow hunters looking to improve their knowledge of the sport.